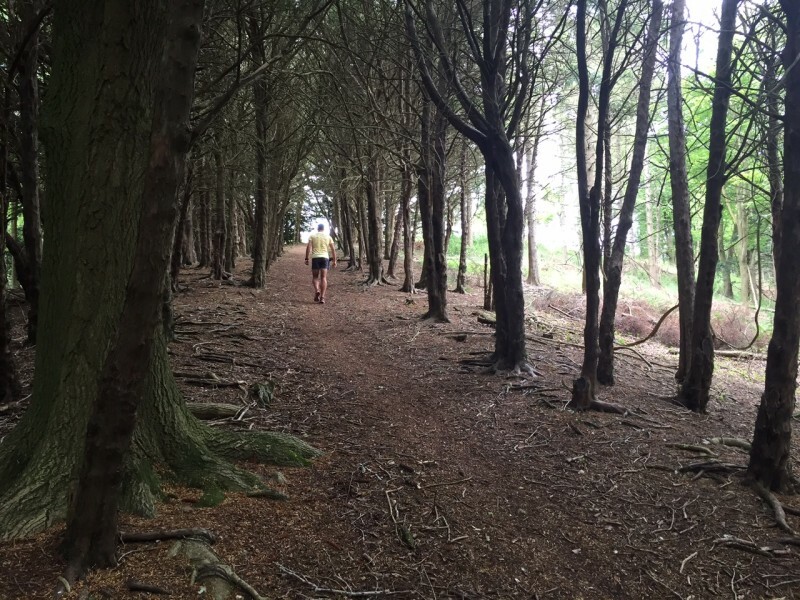 New for 2019 as a one-off "Special Edition', the Wendover Woods 100 is a 100 mile foot race consisting of 10 x 10 mile loops on forest trails, entirely within Wendover Woods. 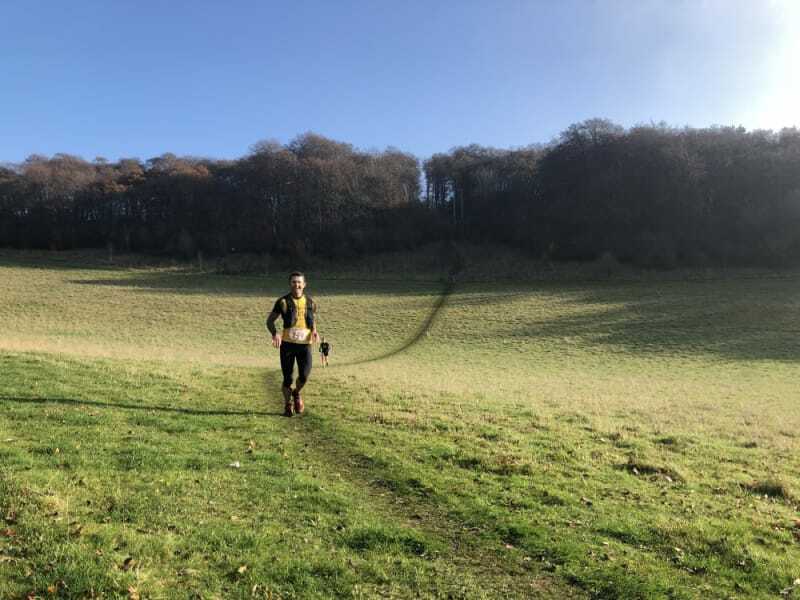 The course mixes some of the most enjoyable trail running to be found anywhere, with wide, soft trails including smooth descents and runnable climbs. These sections are contrasted with some much steeper ascents and descents scattered throughout the loop. The course is identical to the 50 mile, but 10 loops instead of 5. The race does not form part of the 2019 Grand Slam. As with all Centurion events, runners will be fully supported by 19 well stocked aid stations, full medical support and a marked course. Race held under full UK Athletics Permit granted through the TRA (Permit Number Pending). 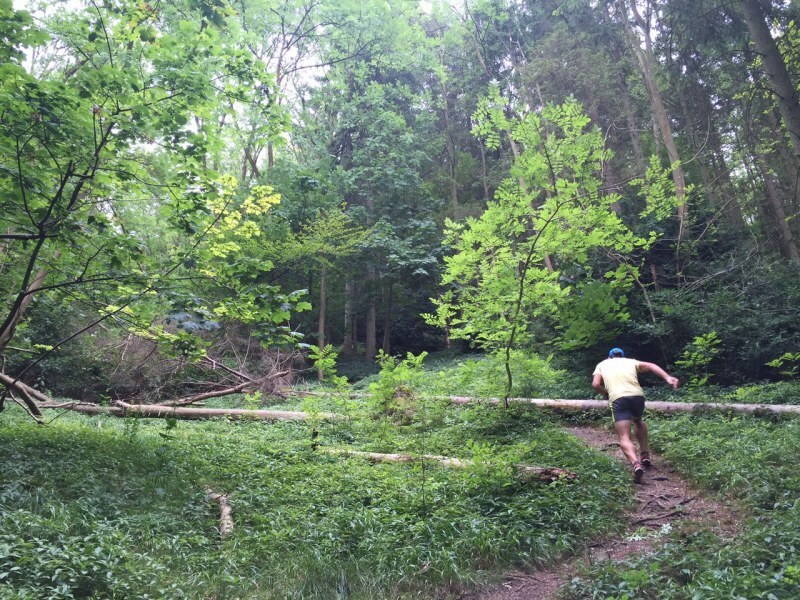 The 2019 Wendover Woods 100 will start at 0800 on FRIDAY 12th July 2019. A cut off of 32 hours will be in place, with 1600 Saturday 13th July the final time for runners to complete the course. There are further cut offs at every aid station on route. Entries for 2019 will open at 1000 on Saturday 23rd February 2019. There will be 150 places for the event on open registration. Places are on a first come, first served basis. Entrants must meet the minimum qualification standard below in order to apply. There will be no waitlist. Runners must finish the course within a 32 hour time limit. There are additional cut offs on route which can be found in the aid station table. 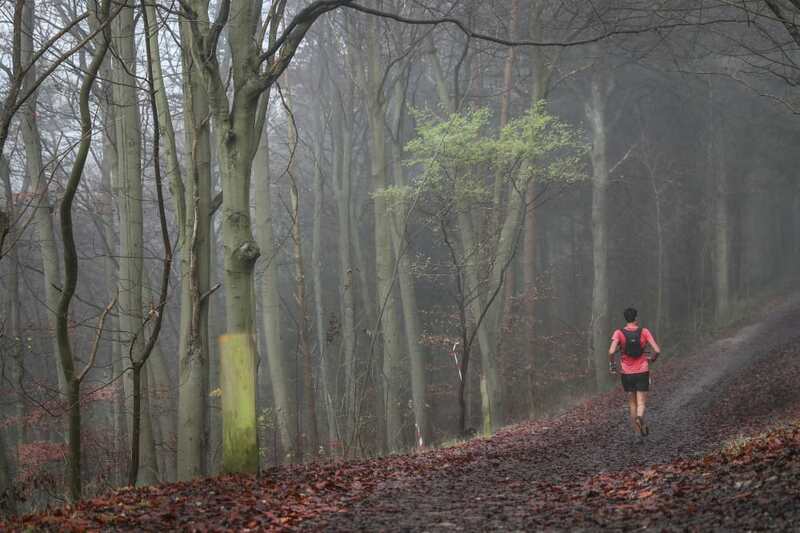 The race route consists of 10 x 10 mile loops on forest trails and tracks within Wendover Woods, woodland operated by the Forestry Commission. A map of the route and a downloadable GPX file can be found at the bottom of this page. The route has 20,000 feet of climb, and 20,000 feet of descent. Buckle & T-Shirt to Finishers only. Additional prizes will be awarded to 1st, 2nd and 3rd place Male and Female as well as winners of each Vet Category: MV40, MV50, MV60, MV70. FV40, FV50, FV60, FV70. The start/ finish location also acts as the aid station at the start/ end of each loop. Runners will make 9 visits there before finishing at the end of their 10th loop. The Hale Lane Aid Station falls at mile 5.5 of each lap and will therefore also be visited 10 times. 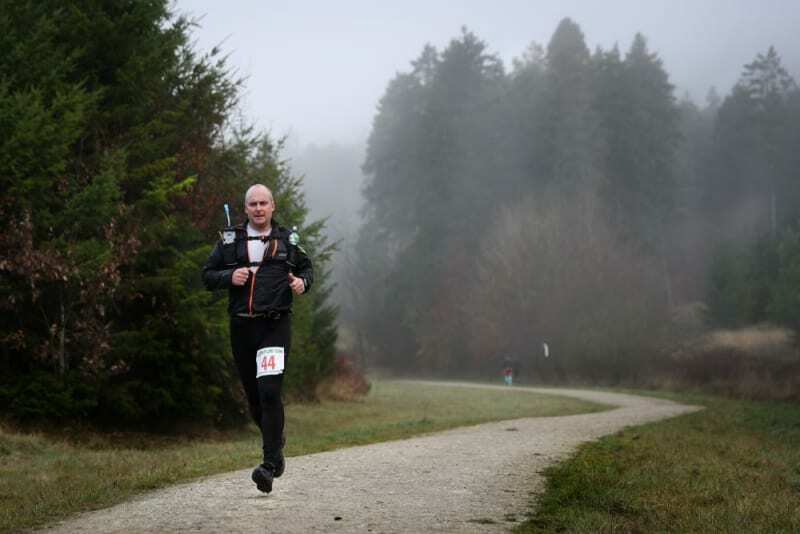 A full list of the distances at which the aid stations fall and the respective cut off times, can be found here. Both aid stations will carry as a minimum: Tailwind, water, coke, chocolate, sweets, sandwiches, nuts, lots of fruit, Gu gels, wraps, sandwiches and other sweet and savory snacks. Hot drinks will also be available from lap 3 onwards at both aid stations. Drop/ Finish Line Bags may be deposited at registration, whereupon they will be stored in number order in a separate tent and accessible to runners at the end of each 10 mile loop. Bags should be clearly labelled with runners name and bib number. The course will be marked with reflective red, white and silver tape, Centurion marker arrows and Orange Chalk Ground Paint. There are a handful of road crossings/ to negotiate. These will NOT all be marshalled. No pacers are permitted at any point on the route. Runners are allowed to have a crew, however crews may ONLY attend to their runner in the designated area at the start/ finish of each loop. 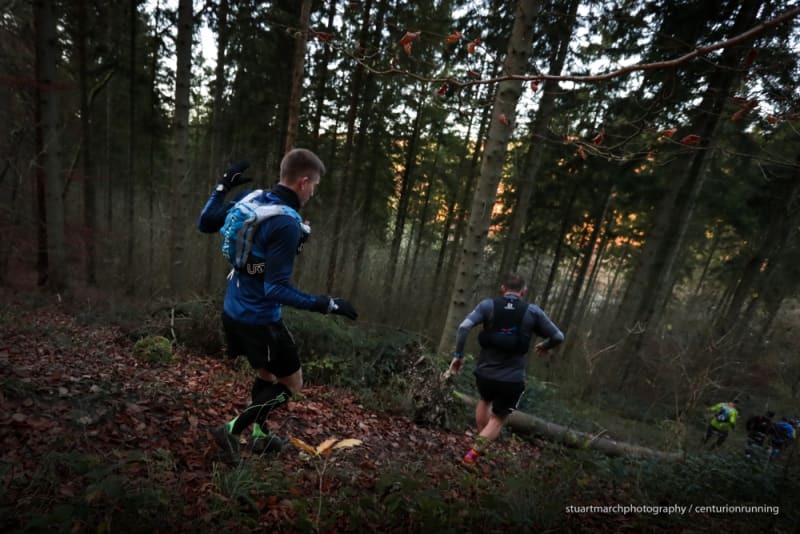 There will be a dedicated team of race medics available throughout the race including a static first aid team at the start/ finish check point and a roving team within the Woods. If you suffer an injury or accident that warrants direct medical attention, the medics will be on hand to provide you with exactly that. Contact numbers and full details of what to do in an emergency will be given to you in the pre race information packs and again at race registration. Due to the nature of the course ie. some remote and far from roads, the medics may take some time to reach you, or potentially be out of contact tending to other runners. In those instances you should contact the emergency services on 999 AS WELL AS the race medics. Full instructions on what to do in an emergency can be found in the infopacks.